First soak chinese black mushrooms and rinse if necessary. 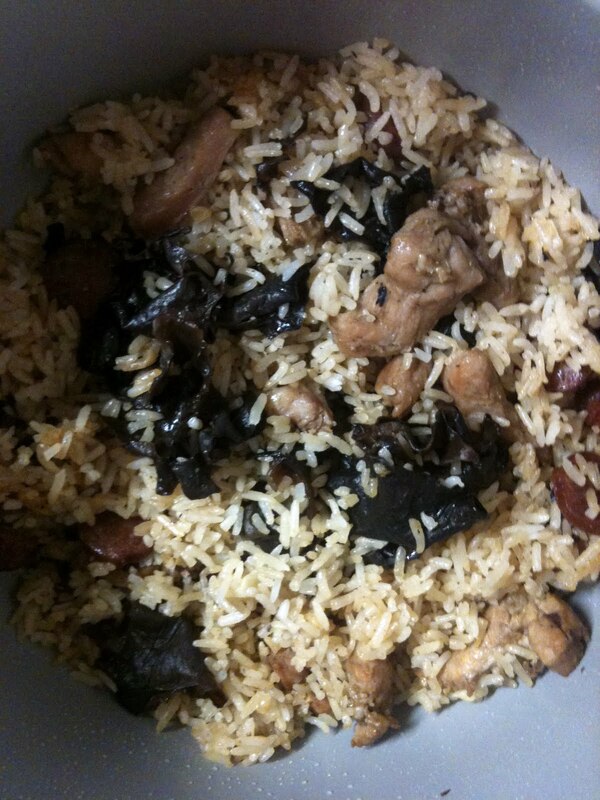 In rice cooker, 3 cups rice with 1.5 cups water and 1.5 cups chicken broth. Place 2 chinese sausages on top and cook rice as normal. Drain and cut chinese mushrooms into bite sized pieces. Heat non stick pan with about 2 tbsp cooking oil. Toss in 1/2 diced ginger and garlic. 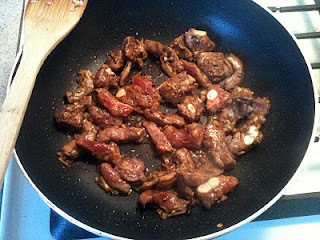 Stir fry cut up spareribs until almost done then add in chinese mushrooms. Take out chinese sausage and slice. Mix meat and mushrooms into rice cooker and flip back on to cook. Serve when ready. Makes about 8 servings.